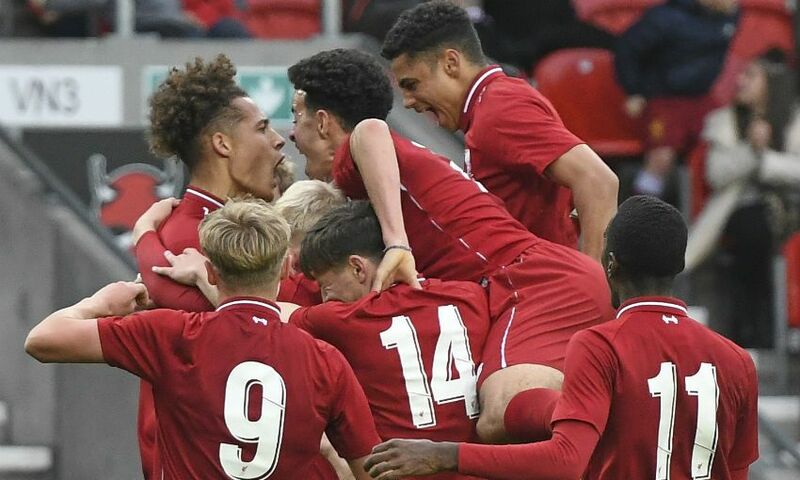 Rhys Williams’ injury-time winner snatched a 2-1 victory for Liverpool U19s over Red Star Belgrade in the UEFA Youth League. 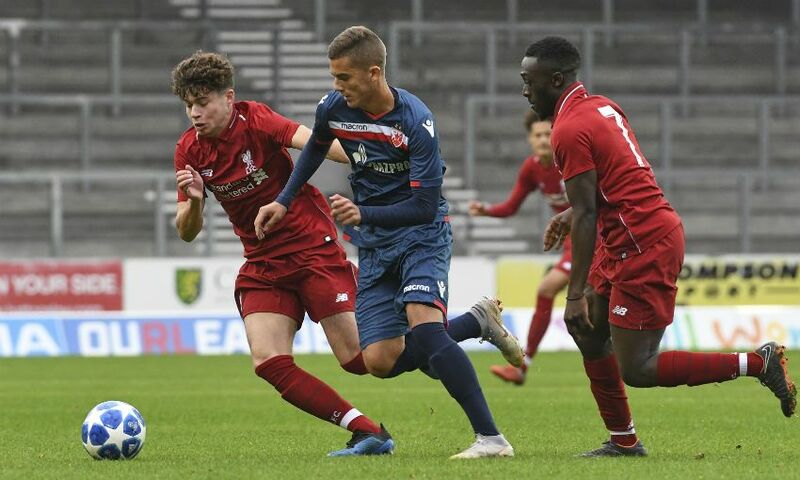 The young Reds dominated the vast majority of Wednesday’s Group C match at St Helens, but missed a litany of chances before Dejan Joveljic gave the visitors the lead against the run of play with 15 minutes remaining. Plenty of late drama was still to come, though. 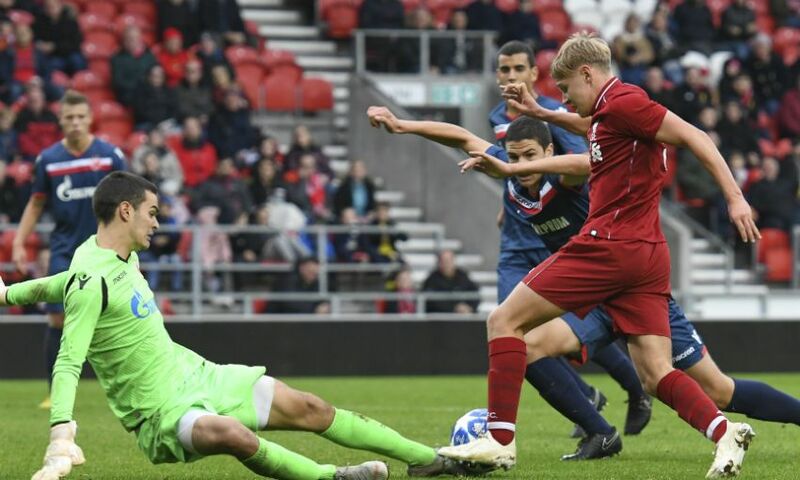 Liverpool captain Adam Lewis saw a penalty saved by Milos Gordic before Rafael Camacho drew the hosts level with a brilliant curling effort five minutes from time. Barry Lewtas’ team refused to settle for a point, however, and Williams’ towering header from Lewis’ corner earned all three. And with Paris Saint-Germain and Napoli drawing 0-0 in the French capital, the young Reds now sit three points clear at the top of the pool. 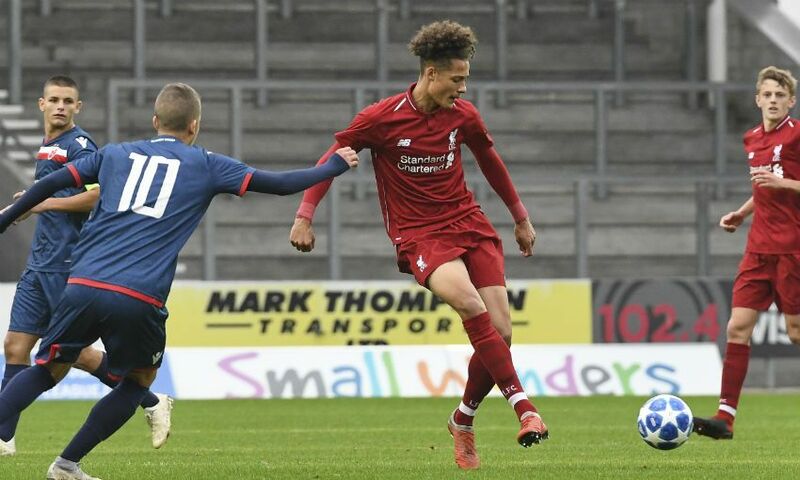 Liverpool’s intentions were clear from the off and Bobby Adekanye nearly supplied Curtis Jones with an opener inside the first minute. Jake Cain freed Adekanye down the right, with his drilled cross that was bound for the onrushing Jones being cleared at the last. The home side enjoyed a near-monopoly of the ball in the early stages as they probed for a way through a deep, well-organised Red Star backline. 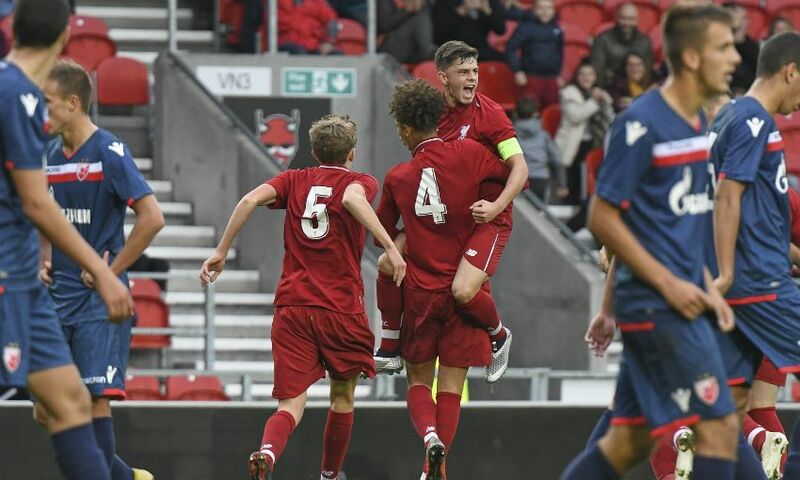 Camacho was adjudged offside when he converted Neco Williams’ excellent cross in the 14th minute, but Liverpool remained in the ascendancy. 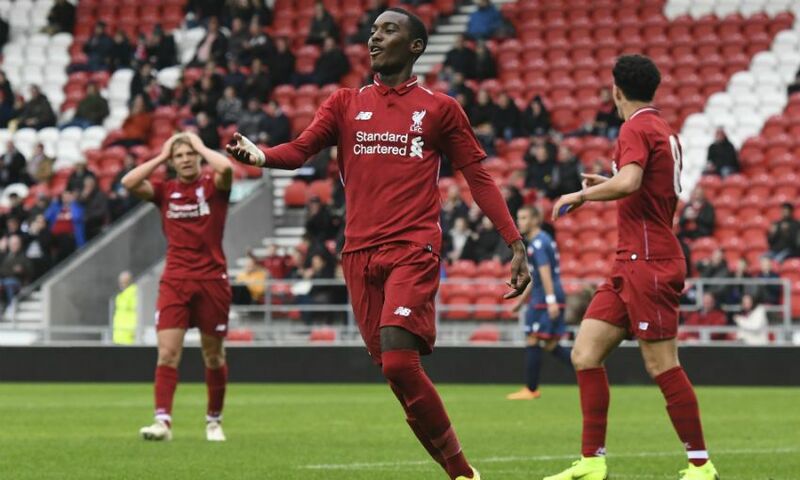 The unrelenting pressure on the visitors’ goal featured presentable opportunities for Adekanye and Jones, before Lewis forced Gordic into a save from a well-struck free-kick in first-half stoppage time. A greater willingness to counter-attack from Red Star resulted in a more even contest following the interval. Ilija Stojancic sliced over the crossbar from close range on the hour and it was the visitors’ turn to have a goal ruled out soon after, when Bogdan Jocic tapped Njegos Kupusovic’s low cross in from an offside position. 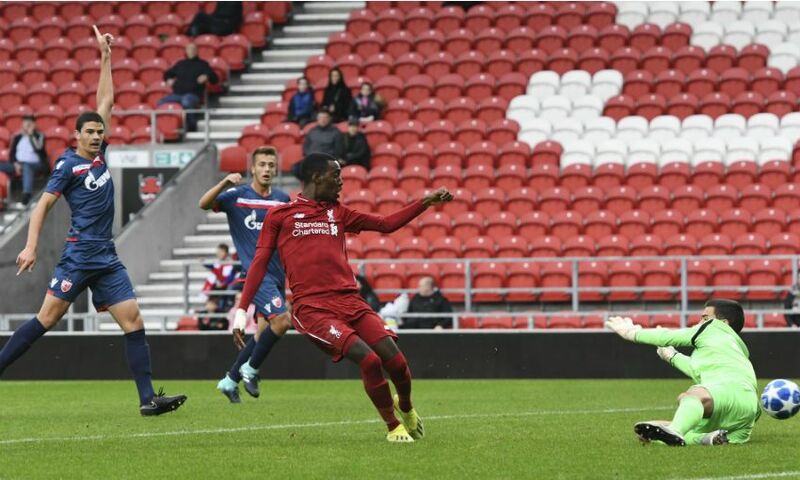 Stung by that narrow escape, Liverpool re-assumed control. Only a desperate last-ditch block denied Adekanye a certain goal from Lewis’ delivery, before the hosts’ No.7 rolled an effort onto the outside of the post. Vitezslav Jaros then produced an outstanding reaction save to tip Joveljic’s powerful strike over at the other end - but that warning from Red Star’s captain was not heeded. 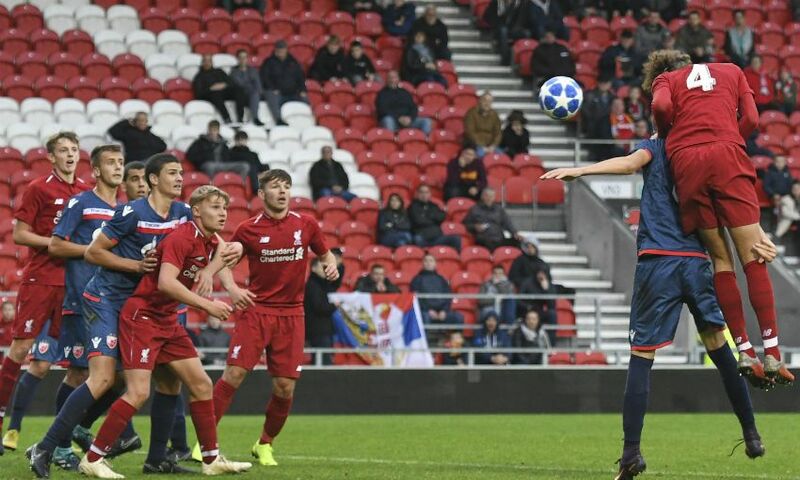 After Camacho and Leighton Clarkson had spurned further chances to put Liverpool ahead, Joveljic latched onto Jocic’s long pass and coolly rounded Jaros before slotting home. It appeared that Lewtas’ side were condemned to defeat after Lewis’ penalty was palmed clear, but their persistence finally, and deservedly, paid off through Camacho and Williams. 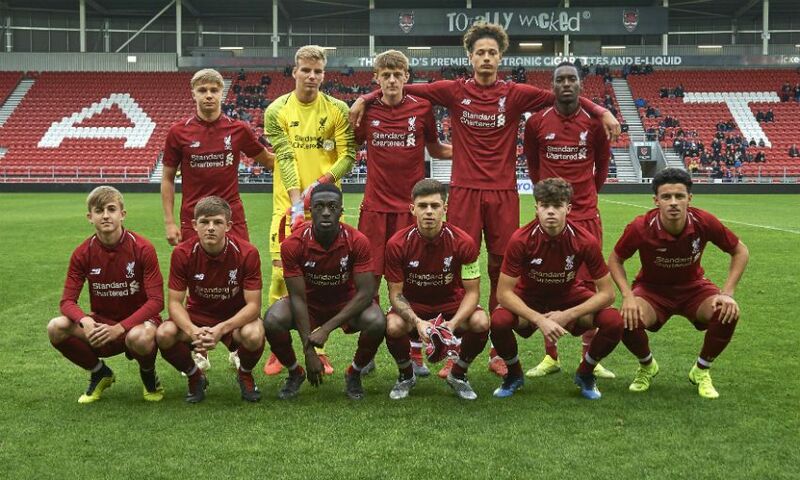 Liverpool U19s: Jaros, N Williams (Hoever), R Williams, Clayton, Clarkson, Lewis, Cain (Duncan), Jones, Adekanye (Longstaff), Camacho, Glatzel (Dixon-Bonner). Unused subs: Kelly, Boyes, Larouci.